We are a leading Manufacturer of stainless steel camlock coupling, pressure vessels steel plate, stainless steel 310s flanges, stainless steel pipe fittings, puddle flanges and stainless steel 304 flanges from Mumbai, India. PETROMET FLANGE INC is a Pressure Vessel Steel Plate stockholders and suppliers, delivering to the whole of the world.we are ISO 9001:2008 accredited and supplies Pressure Vessel Steel Plate to internationally approved quality standards for applications. 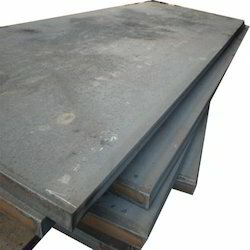 Pressure Vessel Steel Plate have excellent quality to fully satisfy customer’s requirements. 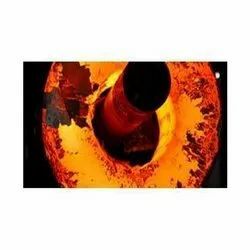 The Pressure Vessel Steel Plate supplied by us are accepted by clients in various spheres of the industries ranging from basic industries such as Sugar, Paper, Textile, Dairy, Engineering to more complex such as Oil & Gas, Petrochemical, Chemical & Fertilizers, Power Generation and Nuclear Industries. 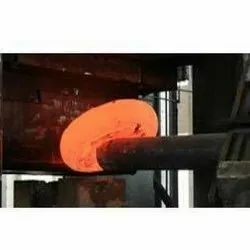 PETROMET FLANGE INC specializes in Pressure Vessel Steel Plate .With years of experience in manufacturing Pressure Vessel Steel Plate we offer high quality, lower cost but the best service. As a result to that our export account today is in various countries like Saudi arabia, Kuwait, Qatar, Oman, Yemen, UAE, Iran, Turkey, Kazakhstan, Greece, Singapore, Thailand, Indonesia, Vietnam, South Africa,South America,Brazil, India, Australia, Egypt.We welcome your inquiries. We offer high grade Pressure Vessel Steel Plateat affordable price. These Pressure Vessel Steel Plateare manufactured using finest grade raw material available to ensure international quality. These Pressure Vessel Steel Plate are available in different shape size and thickness according to the needs of our customer. 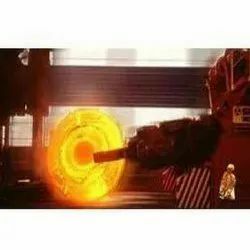 Owing to highly experienced group of qualified professional and use of latest technology machinery, PETROMET FLANGE INC have supplied high quality Pressure Vessel Steel Plate and profiles to customers throughout the worldwide. These Stainless Steel 310S Flanges offered by us meets the specific process needs of various industries. 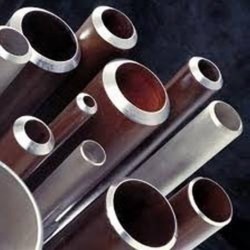 These pipes are also in compliance with diverse industry recommended standards. For delivering in this exceptional quality, we manufacture these using well defined processes that allow these to also function in elevated temperature services. Also featuring internationally advised wall thickness. 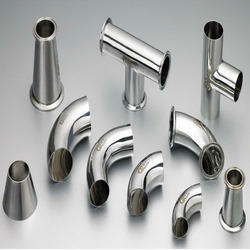 We are the leading supplier of Stainless Steel Pipe Fittings. PETROMET FLANGE INC IS specializes in manufacturing high pressure, large diameter, high yield, and specialty flanges. Puddle Flanges are manufactured using superior grade of steel like Carbon Steel, Alloy Steel, Stainless Steel 201/202, 304/304L, 310S, 316/316L, 317L, 321/321H, 347/347H, 904L. These Flanges are most durable and manufactures to fit in different size of Pipes. The majority of our flanges are manufactured from forged steel with a limited amount machined from bar stock. The forged construction provides higher strength and durability to provide long lasting performance in the application. Do you need your Puddle Flanges or other pipe flanges shipped to you internationally? Not only do we ship all of our fittings & flanges globally, we will consolidate the order for you and ship it to the closest port near you. We have gained several Orders of Puddle Flanges from countries like US, Canada, Chile, Brazil, UK, Italy, Belgium, France, Portugal, South Africa, Nigeria, United Arab Emirates (UAE), Bahrain, Saudi Arabia, Qatar, Kuwait, Jordan, Malaysia, Thailand, Singapore, Indonesia, Sudan, Kazakhstan, Australia, Israel, Kenya, Russia, Tunisia, Vietnam. Size: 1/2" (15 NB) to 48" (1200NB) Standards: ANSI B16.5, ANSI B16.47 Series A & B, MSS SP44, ASA, API-605, AWWA, BS 4504, EN1092, UNI 2277/2278, DIN, B16.5-2009 B16.47-2006 asme asme API605-1988, mss sp 44-2006, csa Z245.12-05-2005, EN1092-1-2007 EN1759-1-2004, DIN2630 DIN2631 DIN2632 DIN2633 DIN2634 DIN2635 DIN2636 DIN2637 DIN2638, BS1560-3.1 BS4504-3.1-1989 -1989, Afnor nf E29-200-1-2007, ISO7005-1-1992, AS2129-2000, jis B2220-2004, Custom Drawings Pressure Ratings: Class 150, Class 300, Class 400, Class 600, Class 900, Class1500, Class 2500 | PN6, PN10, PN16, PN25, PN40, PN64 etc. 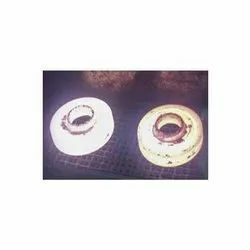 Carbon Steel Puddle Flanges: ASTM A105/A105N, A350 LF1, LF2 CL1/CL2, LF3 CL1/CL2, A694 F42, F46, F48, F50, F52, F56, F60, F65, F70, A516.60, 65, 70 (Spectacle Blind Flange, Spacer Ring/Spade Flange), Steel RST37.2, C22.8 Stainless Steel Puddle Flanges: ASTM A182 F 202, F 304/ 304L/ 304H, F 316/316L, F 316H, F 316TI, F 310, F 321, F 904L Alloy Steel Puddle Flanges: ASTM A182 F1, F5, F9, F11, F22, F91 Special Alloy Puddle Flanges: Nickel Alloys Puddle Flanges: Nickel 200 (UNS No. N02200), Nickel 201 (UNS No. N02201), Monel 400 (UNS No. N04400), Monel 500 (UNS No. N05500), Inconel 800 (UNS No. N08800), Inconel 825 (UNS No. N08825), Inconel 600 (UNS No. N06600), Inconel 625 (UNS No. N06625), Inconel 601 (UNS No. N06601), Hastelloy C 276 (UNS No. N10276), Alloy 20 (UNS No. N08020), Titanium (Grade I & II). 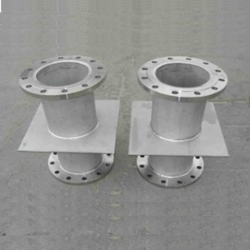 Duplex, Super Duplex Puddle Flanges: ASTM / ASME A/SA 182 F 44, F 45, F51, F 53, F 55, F 60, F 61, 2205 (UNS No. S31803), 2507 (UNS No.S32750) Copper Alloy Puddle Flanges: UNS No. C 10100, 10200, 10300, 10800, 12000, 12200, 70600, 71500, UNS No. C 70600 (Cu -Ni- 90/10), C71500 (Cu -Ni- 70/30) Flange Face Type: Flate Face (FF), Raised Face (RF), Ring Type Joint (RTJ) Flange Form: SORF, WNRF, BLRF, SWRF, LAP Joint, Threaded, Reducing, Spectacle, etc Coating/Surface Treatment: Anti-rust Paint, Oil Black Paint, Yellow Transparent, Zinc Plated, Cold and Hot Dip Galvanized Value Added Services: CNC Machining, Customised Flanges Puddle Flanges Test Certificates: Manufacturer Test Certificate as per EN 10204 / 3.1B, Raw Materials Certificate, 100% Radiography Test Report, Third Party Inspection Report as per client specification. Our company has gained immense accolades in the field of offering 304 Stainless Steel Flanges to the clients. 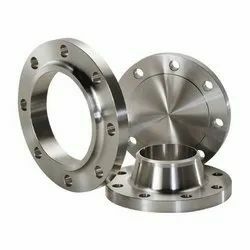 304 Stainless Steel Flanges are designed with care using current techniques under the visionary guidance of accomplished professionals at manufacturing unit. 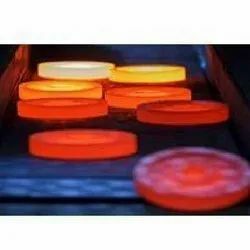 Offered range is stringently tested on various parameters of quality for ensuring flawlessness and defect free. These products are widely used in various industries and widely appreciated by clients for owning unmatchable characteristics. Offered range supplied in quality assured packaging material. Assisted by a team of highly skilled professionals, we are manufacturing, trading and supplying a comprehensive Stainless Steel 304L Flanges. Besides being manufactured using superior quality raw material, these rods are tested rigorously by our quality controllers against numerous quality parameters. Our offered products can be acquired in variegated attributes such as durability and corrosion resistance that draws attention of our esteemed clients from every nook corner of the world. 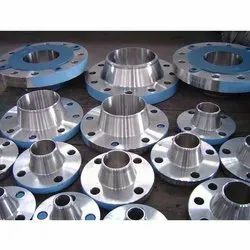 We are the established exporter of Stainless Steel 304H Flanges that have been made in order to live up to the customized expectations of our esteemed clients. The stainless steel material used has been procured from vendors who have the best stock. We ensure impressive quality that has been examined by professionals in the roughest conditions. They are priced well within the budget and have earned a spot in the industrial standards. Using the best grade material, we are successfully manufacturing, exporting and supplying a wide gamut of SS 310 Flanges. The offered products are stringently examined under the supervision of our skilled professionals against the exquisite parameters of quality to ensure hassle free range to our clients. In order to this, these are highly demanded in the market for their sturdy design and industry proven finish. With assistance from highly qualified and experienced professionals, we are engaged in offering a huge gamut of SS 316 Flanges . Extensively used in steel industry, these products are manufactured using high grade stainless steel and cutting edge technology. Further, these are stringently checked under the supervision of our quality controllers on various quality parameters set by the industry. In order to fulfill variegated demands of clients, these products are made available in customized options. We are one of the largest supplier and exporter of various types of Stainless Steel 316L Flanges whose application in various industries and is known for their durability and strength. The flanges that we offer to our clients are available in different grades and qualities. They work efficiently in various applications and last longer than the ordinary flanges. The high performance oriented flanges we trade in are used on equipments utilized for nozzles and in piping systems and others. We are one of the prominent manufacturers and suppliers of superior-quality Stainless Steel 316H Flanges. They are designed and developed using quality-approved stainless steel as raw-material in compliance with industrial quality standards. These flanges are highly acclaimed for their sturdy designs and damage-resistant features. They are durable products. These flanges are tested by professional auditors prior to dispatch in order to ensure optimum end user satisfaction. They are resistant to corrosion and abrasion. We offer them to clients in customized specifications at affordable costs. These flanges are dimensionally accurate, owing to which they can be easily installed and maintained. They are delivered to clients at affordable costs within the specified time-frame. Petromet Flange Inc. is a prominent industry engaged in Manufacturing Exporting a wide range of Stainless Steel 317L Flanges. Offered products are appreciated widely by the customers for their reliable performance, durability and excellent resistance against corrosion and abrasion. 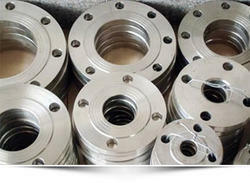 We are the leading supplier of Stainless Steel 317L Flanges. Offered products are appreciated widely by the customers for their reliable performance, durability and excellent resistance against corrosion and abrasion. 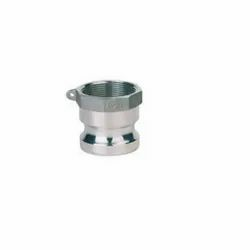 We are well organized firm in the market, highly involved in offering a broad range of SS 321 SERIES Flanges which is widely used in various industries. These products are developed and designed using optimum-quality raw material in accordance to industrial quality norms & standards. These flanges are highly appreciated for their sturdiness and robustness. Apart from this, we also offer customization facility of these products to our clients. We are one of the foremost traders, exporters, and suppliers of supreme quality Stainless Steel 321 H Grade Products such as Stainless Steel 321 H Flanges. 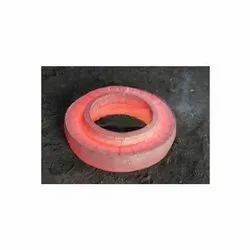 These are extensively used to join sections of pipes or to connect pipe to pressure vessels. These are highly appreciated for their ability to withstand extreme pressures to allow seamless flow of the fluid or gases. We manufacture these by using premium grades of metal alloys and offer these at economical rates to our clients. We use finest quality of Stainless Steel in manufacturing of our SS 347 Flanges. We procure our raw material from trusted and reliable vendors and these are appreciated by customers owing to their unique features. We check strictly our Flanges before delivering them to the clients. Our flanges can be availed from us at the most cost-effective rates. 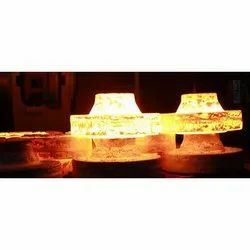 We are the leading supplier of Stainless Steel Forged Flanges. These forged flanges are best in quality because these are examined by quality specialist before sending them to client’s end. 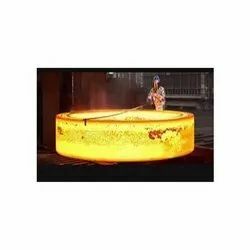 The offered range forged flanges are made accessible in assorted sizes for our clients & also provide customization facility of these products. 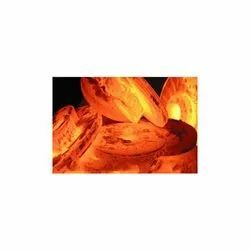 Our customers can take the offered forged flanges from us at suitable rates. These pipe flanges attach by welding the pipe to the neck of the flange. This transfers stress from the flange to the pipe instead. It also reduces the stress concentration from the base of the hub. Weld neck flanges are often used for applications where high pressure is a factor. The inside diameter of the flange is designed to match the pipe's inside diameter. Weld Neck Pipe flanges with a hub have published specifications that range from 1/2" thru 96". Our company provides these in all material grades, specifications and sizes. Weld neck pipe flanges are typically provided with a raised face, flat face, or RTJ facing. When a raised face is necessary for weld neck pipe flanges, the standard height is 1/16" for weld neck pipe flanges . For weld neck pipe flanges and up, the standard weld neck pipe flange raised face height is 1/4". Petromet Flange INC manufactures weld neck pipe flanges in all steel material grades, including carbon weld neck pipe flanges, stainless steel weld neck pipe flanges and alloy weld neck pipe flanges. We also has many different weld neck pipe flanges in stock and ready to ship. Weld neck pipe flanges in stock include ANSI B16.5 weld neck pipe flanges, ASME B16.47 Series "A" weld neck pipe flanges, ASME B16.47 Series "B" weld neck pipe flanges, Pressure Vessel weld neck pipe flanges. we also manufactures custom weld neck pipe flanges per customer requirements. These Stainless Steel Forged Fittings are processed with the aid of newest ideas & technology at our working unit. 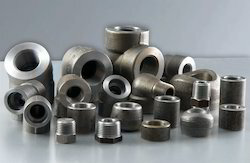 The offered steel fittings are processed keeping in mind the market standards. Apart from that, customers can take the whole range of Stainless Steel Forged Fittings only at nominal rates at given time frame. 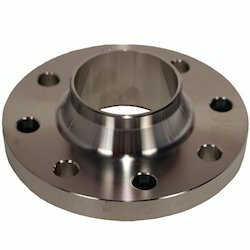 We are the leading supplier of Stainless Steel Pipe Flange. 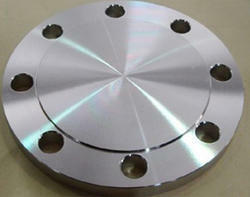 We are the leading supplier of Stainless Steel Plate Flanges.